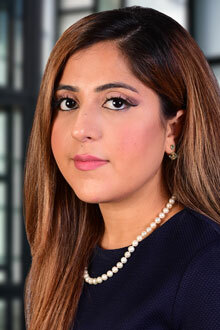 Afsha Noran is an associate in the Newark office of Lewis Brisbois and a member of the General Liability Practice. After graduating law school, Ms. Noran clerked for the New Jersey Office of Administrative Law. During law school, she interned for the Honorable Martha Royster, J.S.C., in the New Jersey Superior Court, in Hudson County.